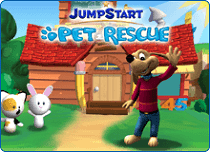 For fun and engaging games for young learners, visit StoryLand in the online virtual world here at JumpStart.com. With more than 70 games, StoryLand will help players with their pre-reading, early math, thinking, social science and art and music skills. 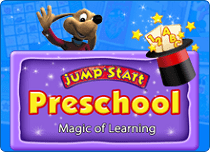 Instill the love of learning in your preschooler with JumpStart’s free preschool games. 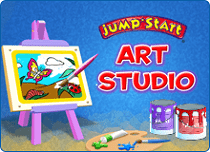 JumpStart’s StoryLand has engaging learning and arcade games that will help your preschooler view learning as a fun-filled process and set the tone for the years to come. StoryLand offers 5 different worlds to play in, each world boasting of unique and engaging learning adventures. What’s more, these worlds introduce players to real-world skills such as shopping for groceries, adopting and caring for a pet, and other lessons appropriate for their age. While learning is an integral part of these games, they all score very high on the fun meter too! Preschoolers can go ride submarines, display their artistic skills, as well as play music to their liking. 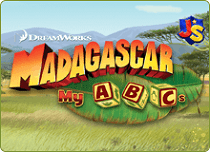 The learning games here help the young ones recognize letters and numbers. The Learning House located in StoryLand’s Neighborhood allows kids to choose from a selection of 16 exciting mini games. These games have been designed and developed to help them practice numbers and counting, letters, sorting, pattern recognition, comparing, following instructions, alphabet order, navigation, and lots more. With over 70 games to choose from, StoryLand is the perfect game that lets your little ones sharpen and hone their preschool skills. All the games successfully achieve the fine balance between learning and fun, thus rendering themselves indispensable for the right development of preschoolers. Monkey Drop, Matching Duckies, Treasure Chest, Retell a Story, Connect the Stars, and Balloon Sorting are a few of the many engaging and fun learning games here at JumpStart. 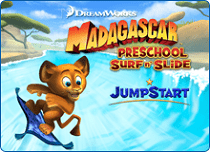 With such a wide variety of preschool games available, parents can choose the games that match their kids’ unique interests. For example, boys and girls may prefer different types of online games. Does your young boy love sports, building or racing? Boys at this age often gravitate toward games that involve these concepts and, luckily, there is a wide-selection of preschool games available that do just that! Look for games that mix your son’s favorite theme with learning and he’ll find out how fun learning can be! Does your little girl love fairy tales, dressing up, or animals? Girls at this age often gravitate toward games that involve these concepts and, luckily, there is a wide selection of preschool games available that do just that! Look for games that mix your daughter’s favorite theme with learning and she’ll find out how fun learning can be! Skip that extra trip to the store! You can find online kids' games that are perfect for your family without leaving home. It is no secret that kids today are hooked to online games at a very young age. Guide preschoolers to play educational games and watch as they not only learn new concepts but also gain mastery over their motor skills. Online preschool games keep learning fun, exciting and fresh so that your kids will actually enjoy studying. Get started immediately and take advantage of the many benefits these games offer!